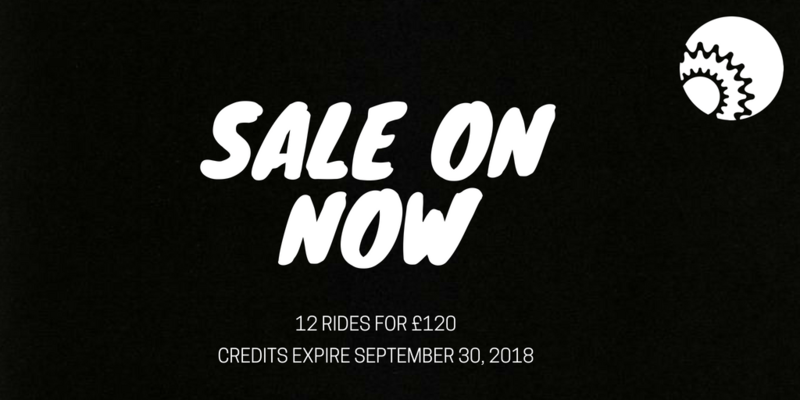 Hit your September Stride with this exclusive sale of: 12 RIDES for £120, credits expire September 30! Click HERE to purchase, and look under PROMOS. Please take note of expiring date. Why Ride’s Fitness Director, Rachel Rivers, recommends three times a week of intense cardio if you have taken some time off. Riders are always asking me how long until they will see results? The answer is, it depends on many variables: your goals (weight loss, fitness, BURN score only), your diet including hydration, your lifestyle ie. sleep, stress, etc. However from my experience having a routine of at least three intense workouts a week, spaced out so they are not all in a row, provides two main benefits. The second more obvious benefit is the physical progression. Personally after taking some time off exercise I shock my body back into shape by going for it for at least for a few weeks then I will pull back into maintenance mode. I don’t think, I just do and at the end of 3-4 weeks I am better than ever, both physically and mentally as I didn’t waste my valuable time thinking about working out, I just got on with it. I never take more than 10 days off and I have been consistent all my life with at least 3 if not 4 days a week of intense workouts. Which obviously goes back to the first point, I have created a habit, and this one is a positive one which I don’t even feel is a chore anymore, it is 100 percent something that my mind and body needs.